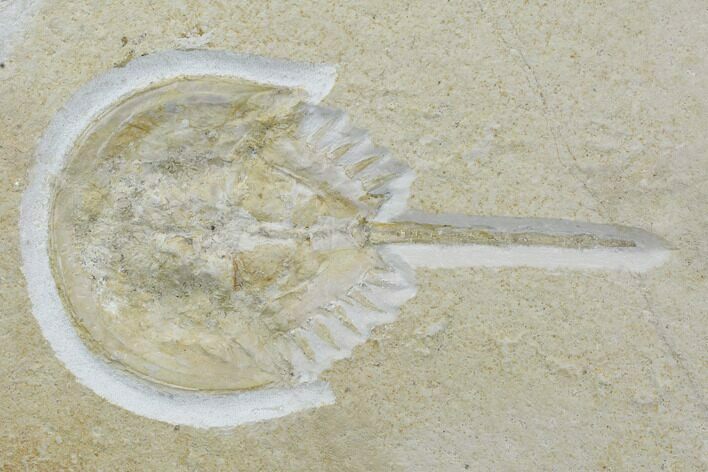 This is a spectacular 5.3" Jurassic horseshoe crab (Mesolimulus walchi) fossil from the famous Solnhofen Lagerstätte in Germany. 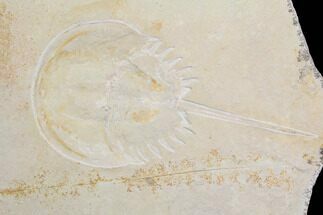 What makes it such a special piece is not just the fossil horseshoe crab, but a preserved trackway leading to its final resting spot. 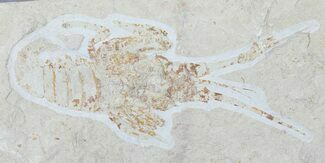 The fossil itself is preserved ventrally with excellent detail. 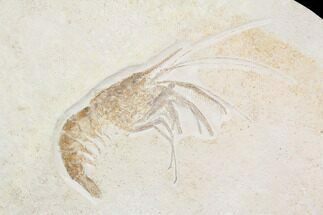 It's presented on a 16x12" slab of limestone with the trackway being about 16" in length. There are multiple repaired cracks through the rock. One of these cracks runs through the cephalothorax of the horseshoe crab, requiring some restoration and paint along the point of breakage. 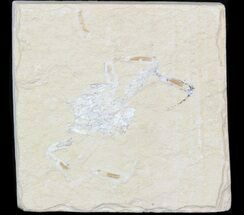 The specimen comes with a display stand or we can add a backing plate with wall mounting hardware upon request. 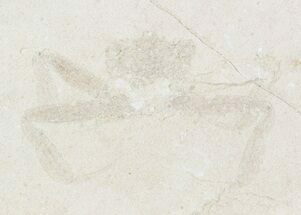 Mesolimulus is an extinct genus of arthropod. 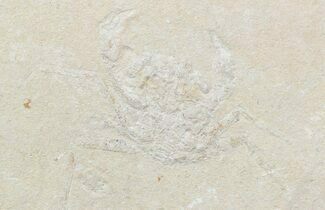 The best known examples are found in Solnhofen limestone near Solnhofen, Bavaria, Germany. Originally assigned to the living genus Limulus, they are related to and look virtually identical to the modern horseshoe crab. 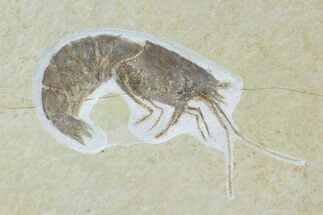 Other species assigned to Mesolimulus have been recorded from Spain, Siberia and (questionably) from Lebanon. 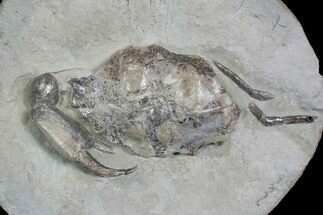 Horseshoe crabs in general date to the Ordovician Period, more than 440 million years ago, and late Paleozoic Euproops fossils indicate that they have changed little over the last 300 million years.